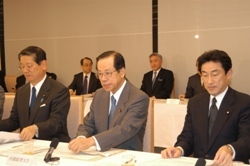 The 74th session of the Council for Science and Technology Policy was held at the Prime Minister's Office on April 10, 2008. 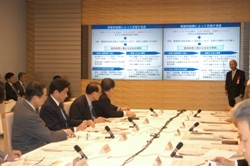 During the session, in regards to the “Strategy for Technological Innovation” and the “Low Carbon Technology Plan,” which Prime Minister Fukuda referred to in his annual policy speech and issued instructions mandating the continuation of the examinations of at the 73rd session in January, a report was made concerning the interim report, the final version of which is sought for compilation in May, and opinions were exchanged thereon. 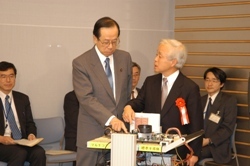 Furthermore, semiconductor technology (multicore processor technology) was introduced as fundamental energy-saving technology for the information-explosion era.